There are seven countries in Central America you can choose to visit. All these countries, except Belize, primary language is Spanish. Belize, however, was a British colony; therefore, English is the primary language. Most of the countries in Central America face the Caribbean Sea to the east and the Pacific Ocean to the west. So, if you plan to relax by the beach, one day you can be looking at the Caribbean Sea or the other the Pacific Ocean. Apart from the beach, if you love adventures and hiking, you will find many hiking trails that may lead you to one of many Mayan ruins. So, let’s look find out what each has to offer. To enter Belize, you must have a valid passport with more than six months validity. A visa is not required. Belize has the largest barrier reef in this hemisphere and second in the world. If your interest is in archeology, you will find Mayan ruins still standing as they did the day they were erected. 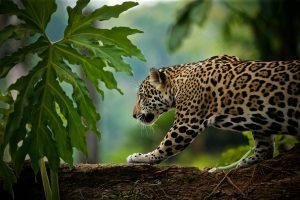 In the rainforest, there are still some undiscovered flora and fauna and fascinating animals. If you visit one of the sanctuaries, you will see howler monkeys jumping high in the canopy or enjoy cool water running through one of many waterfalls. Guatemala is one of the six countries that Spanish is the primary language. 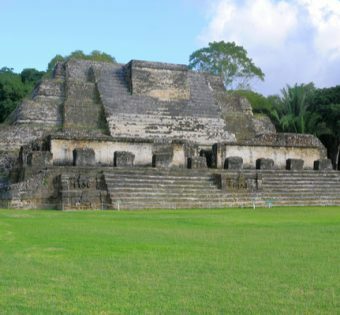 Like Belize, Guatemala also has plenty of Mayan ruins which were once large cities. For example, Tikal was known as a significant trading port for Mayans in the region. Other main tourist attractions located in Guatemala City are the National Palace of Culture and the National Museum of Archeology and Ethnology. If you want to see the preserved Spanish colonial buildings, you can go west of the capital. Guatemala is also known for its volcanoes and coffee fields. When you visit El Salvador, your passport must have a minimum of six months validity, and no visa is required for entry. 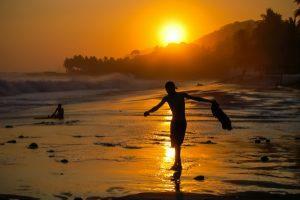 El Salvador is known for its Pacific Ocean beaches and surfing. Like Guatemala, there are many mountainous regions and rainforest. Similarly to Guatemala and Belize, El Salvador has Mayan ruins, like Tazumal, to visit on your trip. You can also take a hike in the Montecristo National Park and may come across a puma, an anteater, or spider monkeys. If you want to see the neo-Gothic cathedral, visit Santa Ana, the second largest city in the country. Unlike the other Central American countries, Honduras is the only one that applies the three-month validity rule. A visa is not required to enter the country. 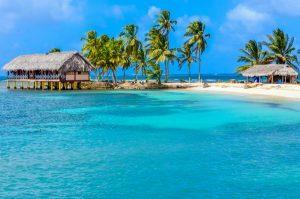 Honduras is the only country with the Caribbean Sea to the north and the Pacific Ocean to the south. For thrill seekers visiting Honduras, Rio Cangrejal is the place to would go. You can kayak or raft in this whitewater rapids. If your trip is in during Easter, you will find plenty of colors during the street carpet festival in Comayagua. For nature lovers, the Rio Platano Biosphere Reserve is good for hiking, fishing, and to view exotic birds. Another must-see place is Copan where you will see Mayan sculptures known as stelae. Nicaragua does implement the six-month passport validity rule, but visitors must apply for a tourist card. The cost of the tourist card is $10 US. The tourist card gives you access to cross borders between El Salvador, Guatemala, Honduras, and Nicaragua. If this country is on your bucket list, then you are in for a treat. Have you ever of volcano boarding? It is a familiar and favorite tourist attraction. If you prefer to hike the volcanos, then you can use the guides provide to you. If you prefer the beach, then you can surf in San Juan del Sur. 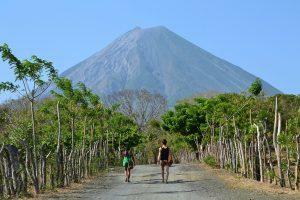 Nicaragua also offers small islands like Ometepe which was form by two joined volcanos. The city also displays Nicaragua history and where you will find the National University. Costa Rica requires its visitors to have a valid passport with six months or more validity. A visa is not necessary unless you will stay longer than 90 days. If that becomes the case, you must apply for a tourist visa that will cost $160 US. 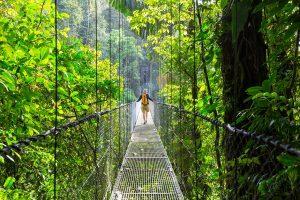 Costa Rica is a country filled with rainforest, for this reason, it has plenty of national parks to roam through. You may plan your hike through Chirripo, Concovado, Tortuguero, or Manuel Antonio National Park. You can visit an active volcano like Arenal or zip line in the Monteverde Cloud Forest Reserve. Like the other Central American countries, Costa Rica borders the Caribbean and the Pacific. So, you can go to the beach on either side to soak in the sun or swim in harm water. To visit Panama, you must have a passport with six months or more validity. A visa is not required if your visit is less than 30 days. Panama is known for the canal which connects the Pacific to the Atlantic, but it is not the only thing this country has to offer. If you like adventure, El Valle de Anton is the right place to start. Volcan Baru will offer equal excitement for mountain climbers and hikers. Boquete provides as many pleasures if you like to zip line or Whitewater River rafting on the Calderon River. And finally, you can end the day on the beach looking at a spectacular sunset. So, you can see the Central American countries have many things to offer to each visitor. You will find many historical sites still intact and are huge tourist attractions. You don’t need to visit Africa to see the pyramids when there are plenty nearby. All you need is a passport and a plane ticket to experience amazing places, excellent sites, and beautiful people. 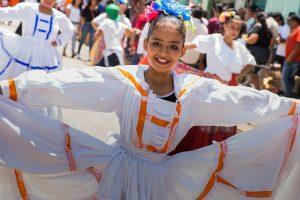 Make a Central American country your next vacation destination.